• Add your own photos! 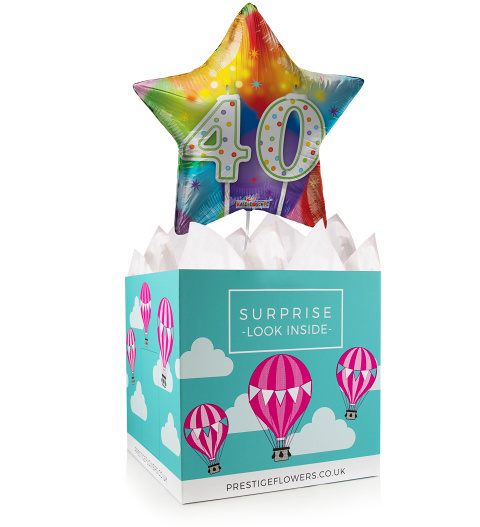 This 18-inch helium balloon and colourful gift box are perfect for celebrating such an important milestone birthday. Take your pick from our selection of optional extras such as cake, chocolates, a cuddly bear, or wine. Write a special message and we will be sure to include it too!